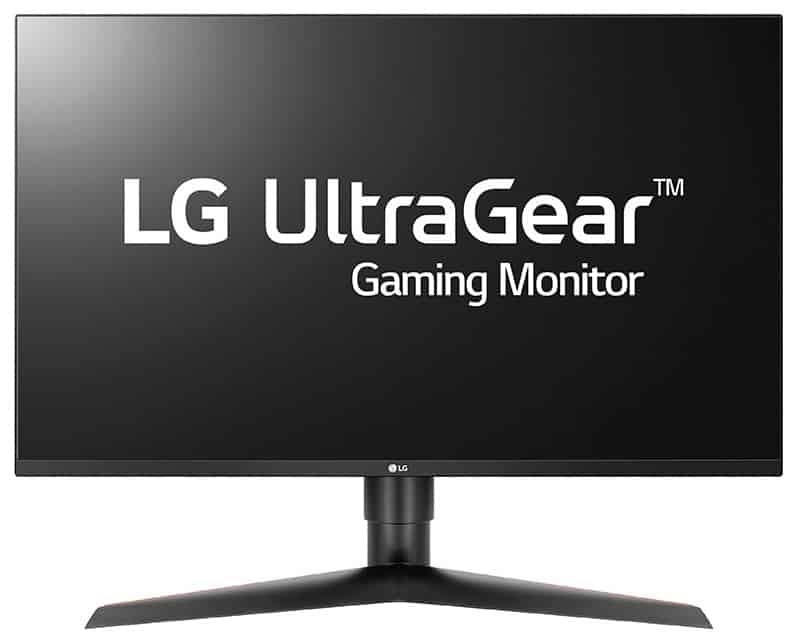 The LG 27GL850G is a much-awaited 1440p G-Sync monitor from the UltraGear line that aims to compete with established options such as the Asus PG279Q and the Acer XB271HU. This kind of gaming display is already around for quite some time, but it remains to be one of the most popular for enthusiasts who want a balance between detail and speed. The LG 27GL850G is late to the party, but the potential of the brand’s Nano IPS technology makes us look forward to it. The LG 27GL850G sports the svelte, minimalist design which we consider to be one of our favorites when it comes to aesthetics. The device uses a combination of matte black and red accents on the chassis to give it a clean look without betraying its pedigree. LG takes pride in making their UltraGear monitors’ bezel-free, although we are certain that there will still be thin panel borders visible when the display is turned on. The LG 27GL850G has a very slim side profile with a minimal bulge at the center that holds all of the monitor’s functions. There is a protruding ring with red perforated vents on one side and an LED feature on the other called Sphere Lighting 2.0. This add-on is a desirable feature for gamers who have themed builds, plus it doubles as a bias light for eye safety and comfort. The dimensions and weight of the LG 27GL850G are still unavailable at this time, but we can already tell that the device is one of the slimmest in its category. The cabinet is ideal for wall mounting since it’s so flat and thin, but we reckon most desks and aftermarket stands are still viable when it comes to desktop space. 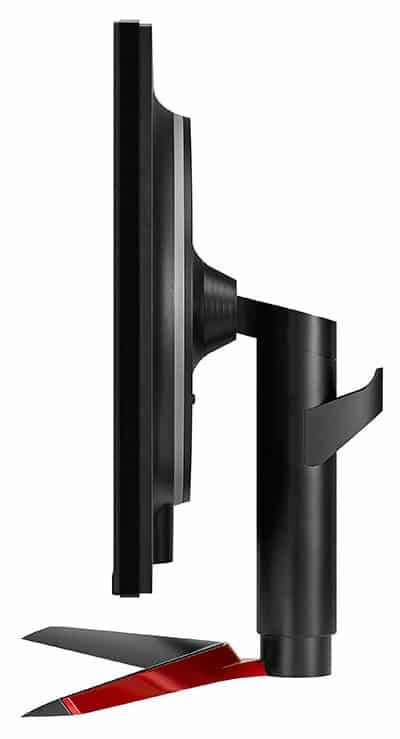 The Y-shaped base’s width reaches up to a considerable degree, but based on our experience with other LG monitors, you won’t need to replace this part. The included stand has excellent flexibility which should enable most users to achieve their preferred viewing angle easily. You can tilt, pivot, and adjust the height of the LG 27GL850G, although swivel was ruled out of the design. You need to remove this mechanism if you want to use the VESA mounting holes at the rear of the chassis. 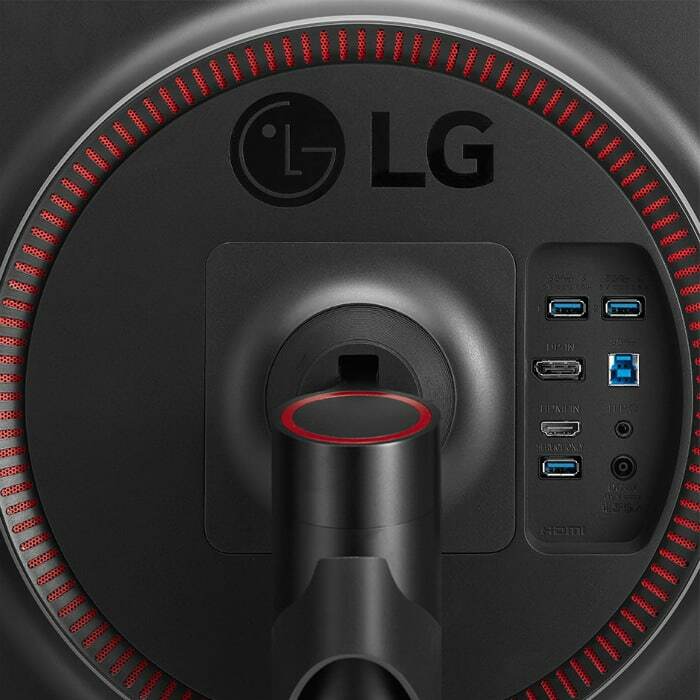 The LG 27GL850G is a G-Sync monitor, so it includes a limited I/O layout as dictated by the proprietary FPGA unit installed with the control board. You only get a DisplayPort 1.2 and HDMI slot for video inputs, plus a complement of four USB 3.0 receptacles for accessories. To be honest, that can be considered generous since older G-Sync monitor owners had to make do with just the two video connectors and nothing more. The LG 27GL850G also doesn’t look like it has speakers like some of the UltraGear monitors we reviewed previously. We know some of you like to see them on a package for maximum value, but they are usually omitted since they don’t see regular use. A pair of headphones or a decent speaker set will always be better, even if you compare it to pairs tuned by well-known brands. The LG 27GL850G sports a 27-inch Nano IPS panel with a 2560 x 1440 resolution, 160Hz refresh rate, and 5ms response time. The backlight specifications are not specified, but we know that LG used an enhanced phosphor unit for this model due to the Nano IPS branding. This model only gets a 1000:1 contrast ratio compared to the others in the series which got a higher 1300:1 spec, but only further testing can confirm the actual output. We loved the LG 32GK850G thanks to its unique size, well-designed aesthetic, and excellent performance in games. However, the biggest complaint on the variant is its looser pixel density, which points to 4K UHD being more suitable for a monitor of that size. Images are a little softer, and some details are lost, but the LG 27GL850G will change that since 27 inches is the perfect sweet spot for this resolution. It’s one of the reasons why the Asus PG279Q and similar models are well-loved by gaming communities due to their mix of sharpness and speeds. We have 4K 144Hz models right now, but they are still fresh in the market and are too expensive for most households. Most builds with decent cards will also struggle with a screen like the latter, so we know plenty of users who are still holding their breaths regarding the category. We’re confident that the LG 27GL850G will reach close to its 98% DCI-P3 coverage specification due to the benefits of the brand’s Nano IPS technology. The LG 34GK950G which uses more or less the same implementation reached an impressive gamut coverage with decent color accuracy right out of the box. 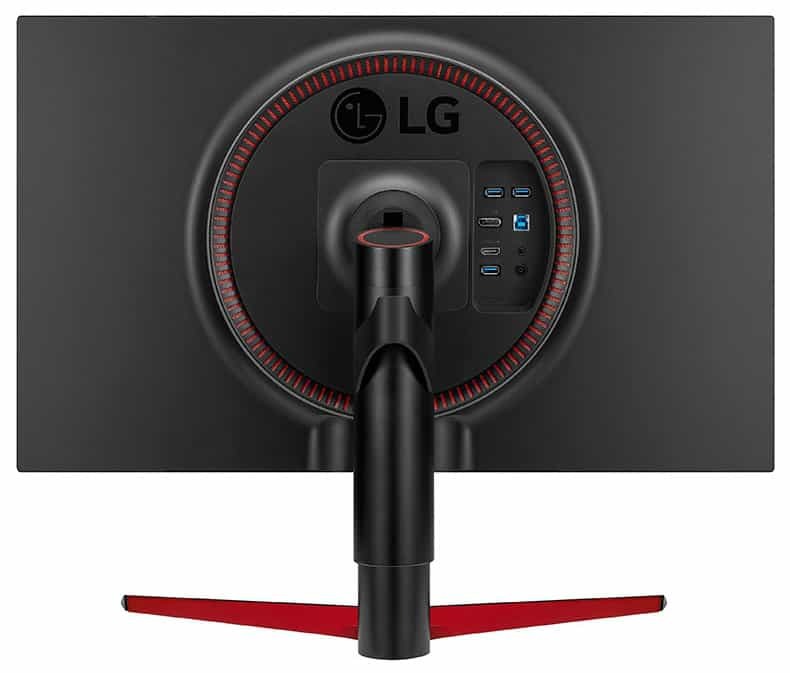 LG monitors are also very responsive to calibration so that you can consider deviances as more room for improvement. The only specification we’re concerned about is the lower 1000:1 contrast ratio on this model compared to other Nano IPS UltraGear monitors which had 1300:1 listed. We are hoping that the LG 27GL850G can exceed its ratings like its predecessors for improved vibrancy, black depth, and grayscale performance. As we all know IPS monitors are considered weak in those characteristics compared to TN or VA variants. The LG 27GL850G is a full G-Sync monitor with a functional range of 30Hz all the way up to the 160Hz maximum. The monitor is a great pair for an RTX-based gaming build which guarantees buttery-smooth and tear-free visuals with just a few clicks in the Nvidia Control Panel. However, this leaves out AMD users who are scheduled to get the first and presumably more powerful and efficient 7nm GPUs. The LG 27GL850G has excellent potential despite offering capabilities which we have seen since 2016. QHD screens with refresh rates breaching 144Hz aren’t new, but it’s the next logical and practical step if you are looking to upgrade your visual experiences. We are firm believers in the benefits of Nano IPS technology, so at this point, we already feel good about the image quality this product can provide. The sad news is that the LG 27GL850G which was first announced last January at CES 2019 is still nowhere to be seen. We will post updates once more information becomes available, or you can check the official page for this monitor for more information regarding its final specs and price.